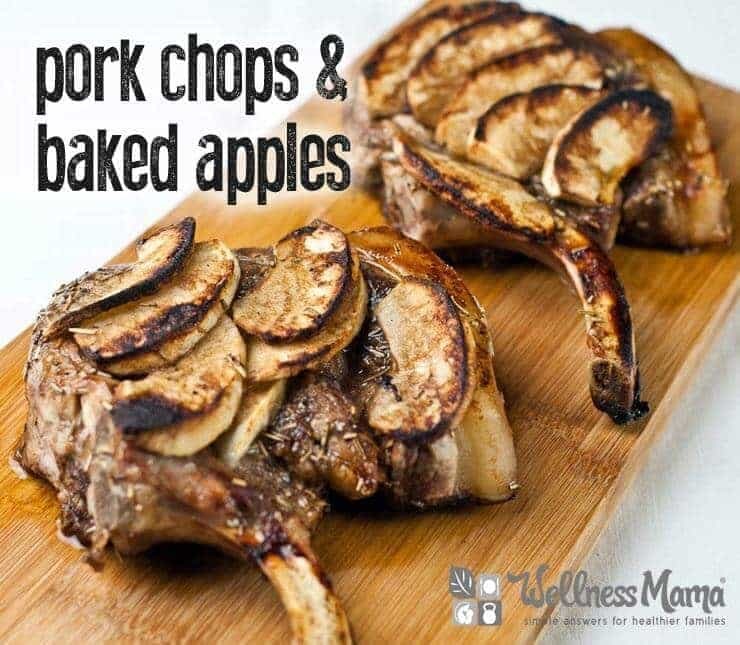 Apple pork chops are an easy and fast recipe that my kids love. 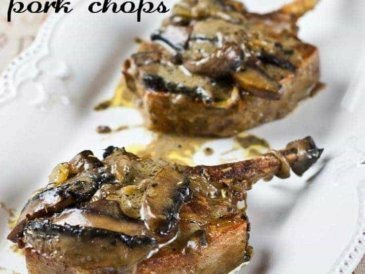 I keep pork chops in the freezer for nights I know I will be in a rush. The apples add great flavor to the pork and the balsamic vinegar gives a bit of a sweet and tangy taste. I love that this recipe comes together quickly for busy nights. The combination of apples and spices turns simple pork chops into a flavorful meal idea. I like to roast some broccoli or Brussels sprouts in the oven or whip up some vegetable noodles while this is cooking so that everything is ready at one time. 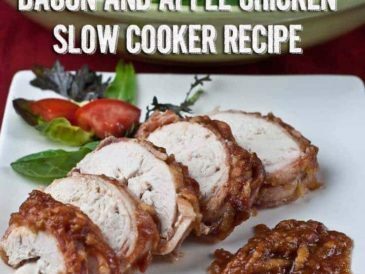 You can make these with boneless or bone-in pork chops. If you use boneless, you may need to reduce the cooking time slightly, depending on the thickness of the chop. 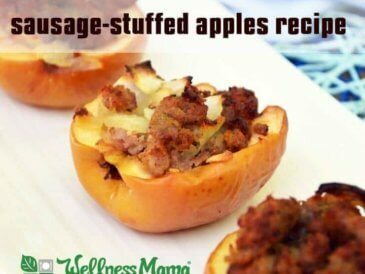 For a lazier version of this recipe, you can just pour apple sauce over the pork before baking or sautéing in place of the sliced apples. Sweet and savory baked pork chops with apples are a simple meal idea that kids and adults will love. Put butter in a baking dish and put it in the preheated oven to melt. When the butter is melted, add the pork chops to the baking dish. Season with salt, pepper, rosemary, and any other desired spices. 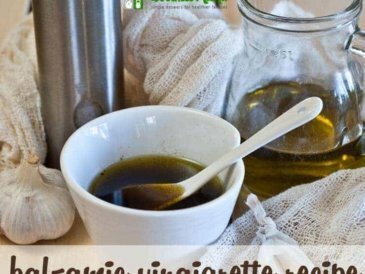 Pour the balsamic vinegar over the top. Top the seasoned pork chops with the apples. Bake in the oven 20-30 minutes until internal temp reaches at least 140°F. 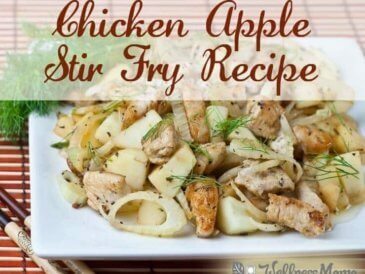 Alternatively, you could cook the pork chops and apples together in large skillet. This only takes about 15 minutes. 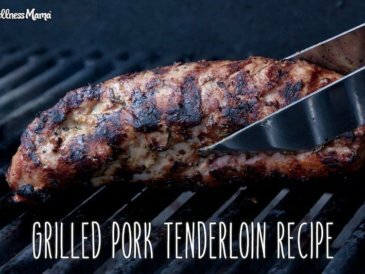 What’s your favorite pork recipe? Tell me below!